Rohan Mustafa (Urdu: روہن مصطفی‎; born: 7 October; 1988) is a Pakistani international cricketer who is the current captain of the United Arab Emirates national team. He is a left-handed batsman and right-arm off-spin bowler. Mustafa was born in Kohat, in Pakistan's North-West Frontier Province. His family moved to the UAE when he was 10, where his father had a car sales business in Sharjah. His father died suddenly when he was 15. Mustafa made his One Day International debut against Scotland in February 2014. One month later he also made his Twenty20 International debut against the Netherlands. After the 2014 ICC World Twenty20, Mustafa was appointed vice-captain of the UAE. At the 2016 Asia Cup Qualifier, Mustafa scored 77 runs from 50 balls in the first match against Afghanistan, opening the batting with Muhammad Kaleem. 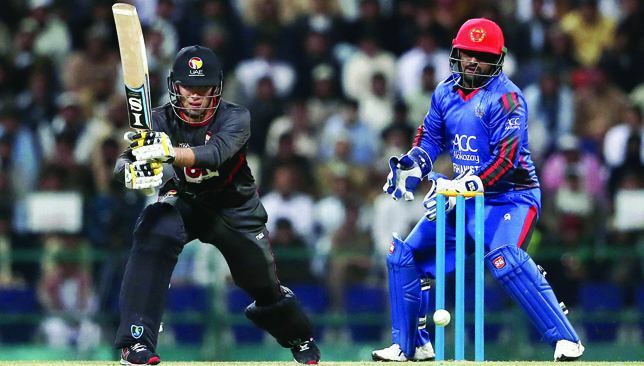 This set a new record for the highest score by a UAE player in a Twenty20 International. 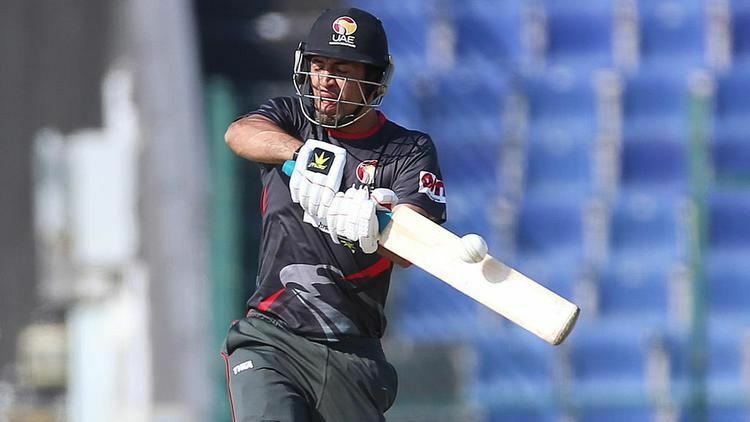 Mustafa also took three wickets in Afghanistan's innings,which is also record in international taking 3 wickets and 75+ runs in a same match with the UAE going on to win the match by 16 runs. On 4 April 2017, Mustafa scored his maiden One Day International century, scoring 109 against Papua New Guinea. In the same match, he took his maiden five-wicket haul, taking 5/25. In doing so, he became only the third player to score a century and take a five-wicket haul in the same ODI after Viv Richards and Paul Collingwood.